Monograms always send a message of understated elegance. 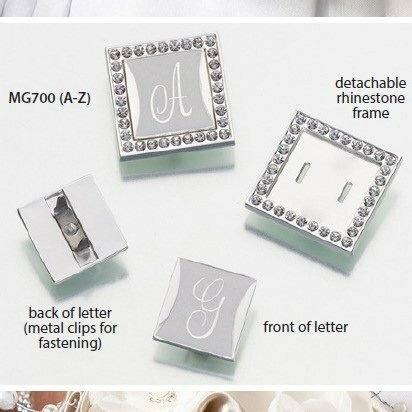 You'll be getting a new monogram once you get married, so why not start using it at your reception? 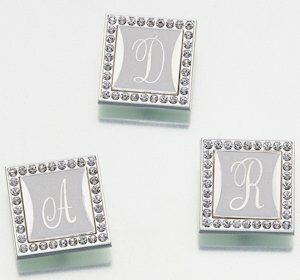 You can purchase any letter of the alphabet as a clip on monogram frame. 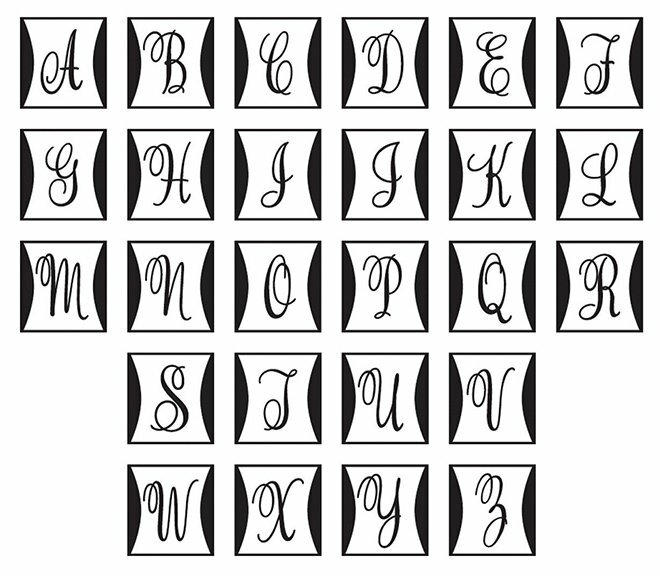 Each letter is done in a silver plate and comes in two parts. The first is a rhinestone accented frame. The second is a monogram letter that fits inside it. You can use the two pieces together as a clip, or you can take them apart and use the frame and the monogram separately. 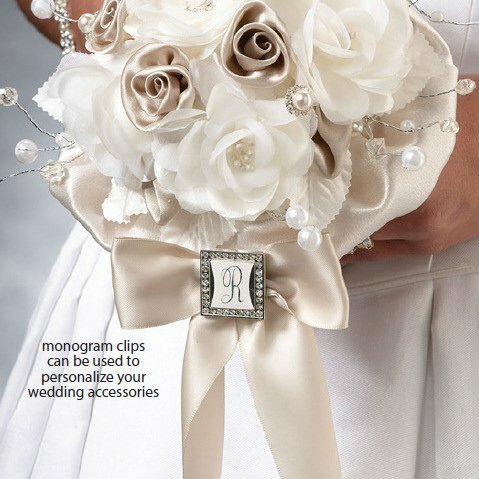 Decorate ring pillow, flower girl basket, your shoes, and more with these fanciful monogrammed clips. Each monogrammed piece include a clip that's 1" X 1" square. Without the frame it's .75" x .75". Note - This item includes a personalization, color, size or design option: Letter (View Letters) (Free of charge). You may specify this information during our checkout process.